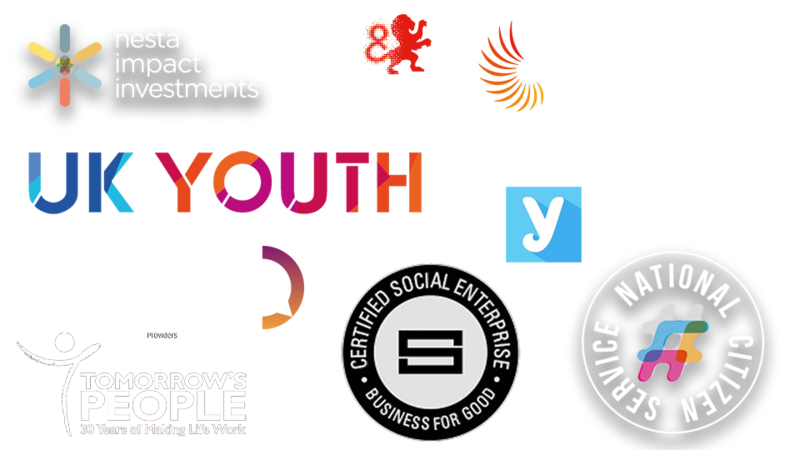 Place an advert and Search UK's largest apprenticeship database*. Find candidates that meet your exact needs. Don't wait for applications, recruit now. To get you going, we just need to collect a few details about your organisation. If you are a registered Training Provider with the Skills Funding Agency (and FE College, HEI, Independent Training Provider or Registered Employer on RoATP) will verify your status with the Skills Funding Agency. By clicking Make Payment you agree to the Terms and Conditions set out by this site, including our Cookie Use. These Terms apply to our proposal or order forms. They are the only terms which apply even if you attach your own terms and conditions to your purchase order or order confirmation and they can only be amended if we agree to do so in writing. Capitalised words not defined when you first see them are defined at the end. Our proposal or order form (“Contract Sheet”) and these Terms will therefore be the contract between us once we confirm your order. Please read them carefully and let us know if you have any questions before doing so. In particular, we draw your attention to the limitation of liability clause below which is essential to the contract price. Our contract with you is for the supply of professional services, such as for training or a marketing campaign, or for access to and use of the recruitment website named below (“Website”). The Contract Sheet may outline certain deliverables which you require (such as marketing content) and your timetable. Our obligation with respect to any such deliverable is to use reasonable endeavours to create it in accordance with the agreed specification but subject to Your Promises (see below). We promise to provide our services using reasonable care and skill and that we will use reasonable endeavours to meet any agreed timetable, although time is not of the essence. Where our services are delivered through a Website, we do not guarantee that the Website will always function perfectly nor will we be responsible for any period of unavailability of the Website at any time or accept any liability for any events, such as system failures or unlawful hacking, which may result in data loss. All online business is inherently insecure and we do not promise that any emails or other electronic communications you may make or receive via the Website will be free from viruses or other malware. You agree to be responsible for ensuring you operate such cyber security policies and systems as you deem appropriate. We promise that the Website will always comply with applicable laws and you accept that we have the right to make any changes which are necessary as the law changes, or otherwise which do not materially affect the nature or quality of the Services. You promise that all information you provide to us will be honest, accurate, relevant and complete. In particular, you promise that any vacancy you advertise will be genuine and described accurately and fully. You are responsible for information you provide to us (including, but not limited to data, information, materials and documents). We strongly recommend that you retain copies/back-up of everything you send us. You promise that you have carefully checked all information which you have sent us and that we may rely on it. If we send you any proofs for approval, you agree to check them carefully and confirm your approval or provide corrections within two (2) working days. If you do not respond to our request for approval within that period, your approval shall be deemed to have been given. Despite the foregoing, if you send us anything that is incorrect or needs to be amended, or is for any reason lost or damaged, you accept that you will have to bear the additional costs incurred (including any design costs or wasted fees in placing adverts on third party websites or fees to reissue electronic marketing information). If you provide us with any graphics, logos or other content, you will ensure they are in the format and resolution we specify and you grant us a limited licence to use them for the purposes of the Campaign. You promise that such graphics, logos and other content do not infringe the rights of any third party and you will indemnify us and hold us harmless should this not be the case. If you are seeking to fulfill a vacancy, you promise that you will fairly describe the skill set required from a Candidate and the nature of the role you are advertising and the remuneration offered. If you are using our Website, you promise to keep any access codes and other information relating to your account on the Website secure and confidential and only disclose them to your employees who are authorised to use the Website on your behalf. You accept full responsibility for anyone using your Website access codes and will indemnify and hold us harmless from any loss, damage or liability caused by unauthorised use of the Website using your access codes. Introductions of Candidates and their personal details are confidential. Candidates’ personal details must not be shared with any third party. Our service is designed to help you identify potential candidates, but we make no guarantee about the number, or quality of candidate introductions and so our fees are not dependant on whether or not a job is offered, but reflect the search service we provide. For Apprenticeships, you are responsible for arranging and contracting with a training provider. While we may provide you with a CV or other information on a Candidate, you will be responsible for taking up any references and satisfying yourself as to the suitability of the Candidate for the position you are seeking to fill, including but not limited to right to work checks and eligibility for funding. To enable us to comply with conduct regulations, you agree to provide any information we may reasonably request. Any specific Campaign we propose has been designed based on the information and requirements you have given us but no specific results can be guaranteed and you accept that you may not receive interest from candidates you wish to hire, or any interest at all. Our Campaign proposals are valid for 30 days. If you do not agree to proceed within that period, we cannot guarantee the fees or other costs set out in our proposal. We will use reasonable endeavours to carry out the Campaign in accordance with the agreed timetable but we will not be responsible for any delays which are outside of our control. The nature of Campaigns means that third parties may be involved. We will inform you when this is the case and any terms you need to accept which you agree to abide by. Any software or online services provided to us by those third parties are provided to you on an “as-is” basis and you agree that we are not liable for any default by the third party. A Campaign may involve us sending direct communications (either in our own name or on your behalf) to potential candidates whose details we hold. We promise that we have the consent of all such individuals to send them such communications, including the manner in which they are sent (such as email, SMS and so on). You accept that you will not have any right to receive the personal details of any such individuals unless they expressly contact you, or ask us to pass on their details to you, as a result of the Campaign. All intellectual property rights in or arising out of or in connection with the Website and the services we offer shall be owned by us or our licensors (“Service IPR”). We give you a limited non-assignable non-sublicensable licence to use the Service IPR in order to use the Services in accordance with these Conditions. We do not guarantee that any online Campaign will be uninterrupted or error-free and accept no liability for any events, such as system failures or unlawful hacking, which may result in data loss. All online communications are inherently insecure and we do not promise that any emails or other electronic communications we make will be free from viruses or other malware. You agree to be responsible for ensuring you operate such cyber security policies and systems as you deem appropriate. Our fees are detailed on the proposal or order form. We will invoice you for our services as detailed in the Contract Sheet and payment is due within 14 days of the invoice date unless otherwise stated on the order form. You agree that we may review and increase our fees during the period of any contract we have with you provided we do not do so more than once in any twelve (12) month period and give you at least three (3) months’ written notice. All fees quoted are exclusive of VAT and please note that interest will accrue at the statutory rate on any overdue sum. You or we may terminate the contract on giving at least 30 days’ written notice. Please note you may still be liable to pay additional fees, for example in respect to a recruitment project, following termination. In the event of termination you will immediately pay us all of our outstanding unpaid invoices. We will also issue you an invoice for services performed up to the termination date which you will pay within seven days. We each undertake not at any time to disclose to any person any confidential information concerning the business, affairs, customers, clients or suppliers of the other except (a) to our respective employees, officers, representatives or advisers who need to know such information for the purposes of the contract and (b) as may be required by law, a court of competent jurisdiction or any governmental or regulatory authority. Neither of us shall use the other’s confidential information for any purpose other than to exercise and perform our respective rights and obligations under or in connection with the contract. Where you employ Candidates introduced by us, you will comply with all applicable laws, including but not limited to the Working Time Regulations 1998, Health and Safety At Work etc. Act 1974, the Equality Act 2010, the Management of Health and Safety at Work Regulations 1999 (as amended) and with the requirements of the Disclosure and Barring Service and the Safeguarding Vulnerable Groups Act 2006 together with all other applicable legislation, rules and guidance which relates to the employment of young persons from time to time. You will indemnify and hold us harmless from any liability if you do not do so. Where we carry out Campaigns for you, you will comply with the Codes of Practice of the Committee of Advertising Practice in England and Wales, as well as with applicable legislation. When we prepare any advert for you, we will use reasonable endeavours to verify with you that it complies with applicable legislation. However, it is your advert and you will be solely responsible for its content and will indemnify us and hold us harmless for anything arising out of its publication, distribution or use. Under no circumstances will we be liable for any loss of profit or other economic loss or for any indirect, consequential or special damages, however they may be caused. However, nothing shall exclude our liability for fraud, for fraudulent misrepresentation or for death or personal injury due to our negligence. Subject to the above, our total liability to you in respect to any matter arising out of or in relation to the contract or the performance of our services shall not exceed the contract price. Where relevant, we will be acting as an employment agency (as defined in section 13(2) of the Employment Agencies Act 1973) and Introducing Candidates to you for direct Engagement. All information relating to a Candidate is confidential and subject to the Data Protection Act 1998 (“DPA”) and is provided solely for the purpose of providing effecting an Introduction. Such information must not be used for any other purpose nor divulged to any third party and you undertake to abide by the provisions of the DPA in processing the data at all times. In particular, personal data about a Candidate may only be used in respect to the specific vacancies the Candidate has indicated an interest in or suitability and may not be used for general or affinity marketing nor passed onto to any third party. Any notice due under the contract must be given in writing (which includes email) and is valid on receipt only. We shall not be in breach nor liable for delay or failure in performing any of our obligations if the delay or failure results from circumstances beyond our reasonable control. This contract is personal to you and you may not assign your rights under it without our prior written consent. You and we both undertake that we shall not at any time during the contract and for one year after termination, disclose to any person any information that would ordinarily be considered confidential by industry standards unless it is for the purposes of carrying out obligations under these Terms. The contract is governed by English law and subject to the jurisdiction of the Courts of England and Wales only. Fee Table means, if applicable, the table set out in the Contract Sheet which specifies the Stage 1 Fee, Stage 2 Fee and Total Fee; Introduction means (i) the passing to you of a CV or information which identifies the Candidate and which leads to an Engagement of the Candidate; and “Introduce” etc have the same meaning.